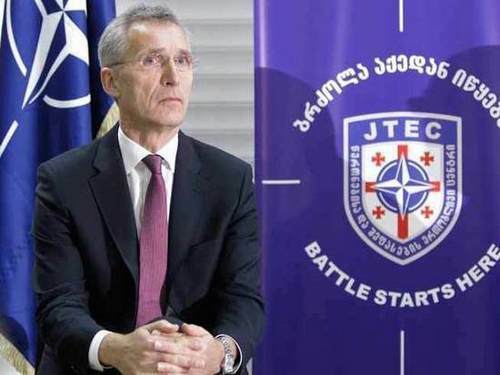 NATO Secretary General Jens Stoltenberg made several high-profile political statements during his visit to Georgia. He noted that Tbilisi has already done a lot for integration into NATO and can count on the support of the Alliance. He also hinted at Georgia’s high readiness to join. True, he made a reservation that the decision to admit a new member of NATO was made with the full consensus of all 29 member countries. MK asked the expert whether Tbilisi’s chances of trying on NATO camouflage are high. Georgia has really been working closely with NATO for a long time. The friendship began long before the famous events of August 2008 and, according to experts, it was she who provoked them. Mikheil Saakashvili (then the President of Georgia), who started a provocative attack on Tskhinval, apparently hoped that NATO partners would stand up for him. And miscalculated. Since then, Georgia, which has lost two rebel republics, continued to pray to the gods of NATO. For example, she participated in all the teachings of the Alliance. Since March 18, 2019, the NATO-Georgia Exercise 2019 command and staff exercises have been held on its territory. The visit of the NATO Secretary General is timed to them. -The Secretary General of NATO is not only a military post, but also a political one. And statements like those that were made in Tbilisi are political statements that we have been hearing for more than a decade. However, in fact, Georgia, as it was, will remain a non-bloc country. Why? Firstly, the theoretical membership in NATO of countries such as Georgia will create problems only for NATO. And inside the bloc, no one wants to exacerbate relations with Russia, which will surely happen, since we will be forced to react. Why exacerbate the already difficult security situation caused by the US withdrawal from a number of international treaties? This is not necessary, first of all, to European states. Secondly, and most importantly, Georgia has disputed territories – South Ossetia and Abkhazia, which are recognized by Russia as independent states. NATO countries consider these territories to be Georgian, which means that, according to the NATO charter, Georgia will not be able to join the alliance. Therefore, all cooperation will be reduced to annual joint military exercises on the territory of Georgia and such political remarks from the top officials of NATO. I do not see any threat to the national security of Russia. That is, in order for Georgia to become a full member of NATO, it is not enough just for Tbilisi or Washington. Theoretically, this option is possible. But for this, the Alliance will have to either change its Charter or recognize the independence of Abkhazia and South Ossetia. Well, and Tbilisi will have to recognize what the Russian Federation recognized in 2008 – the independence of the two neighboring republics.